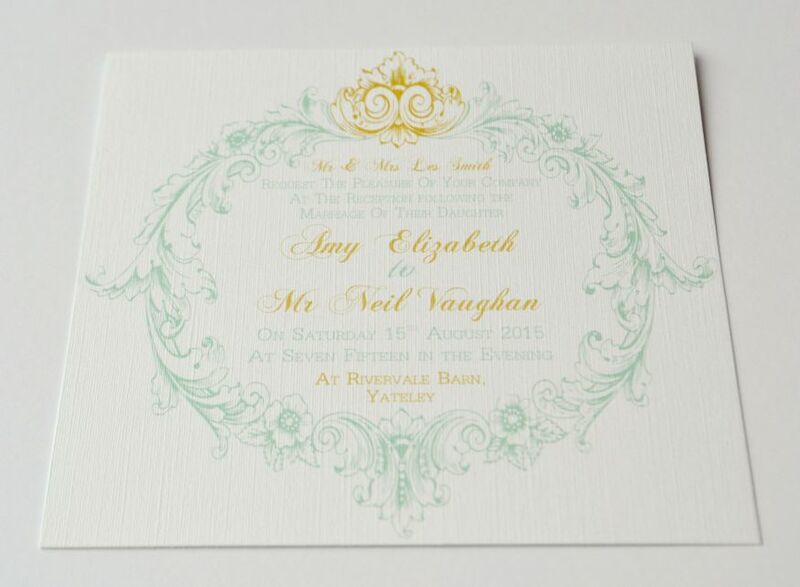 Amy and Neil contacted Grace and Bramble looking for something bespoke for their wedding at Rivervale Barn, Hampshire. 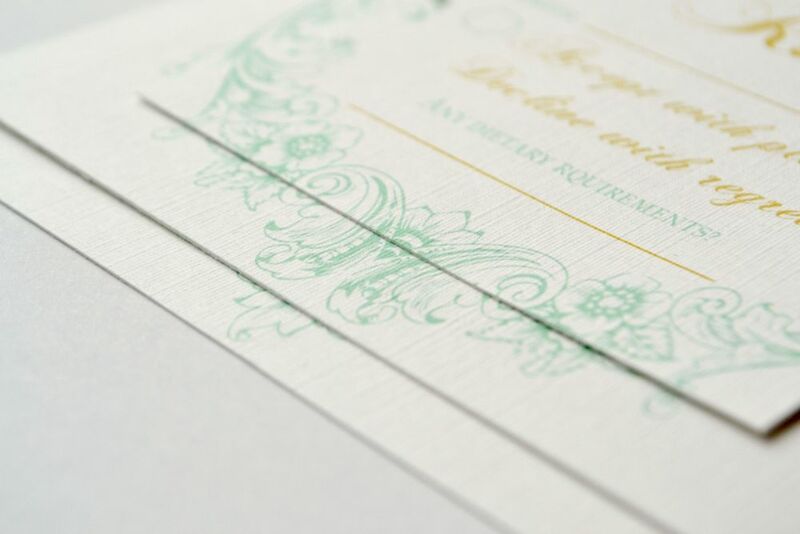 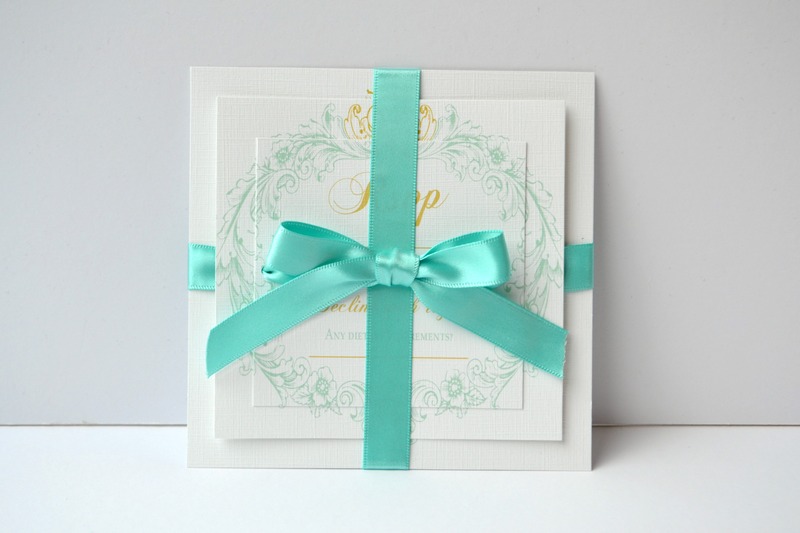 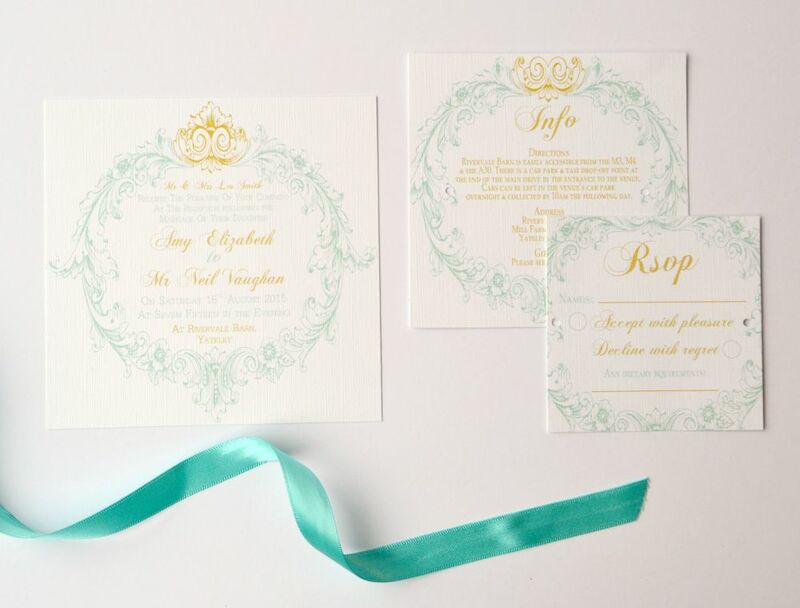 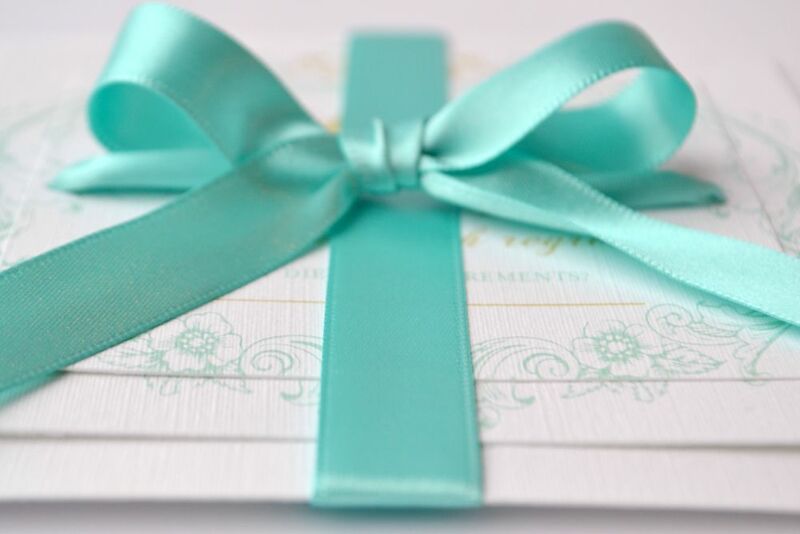 They wanted to combine their mint and gold colours with an elegant and romantic feel to the design. 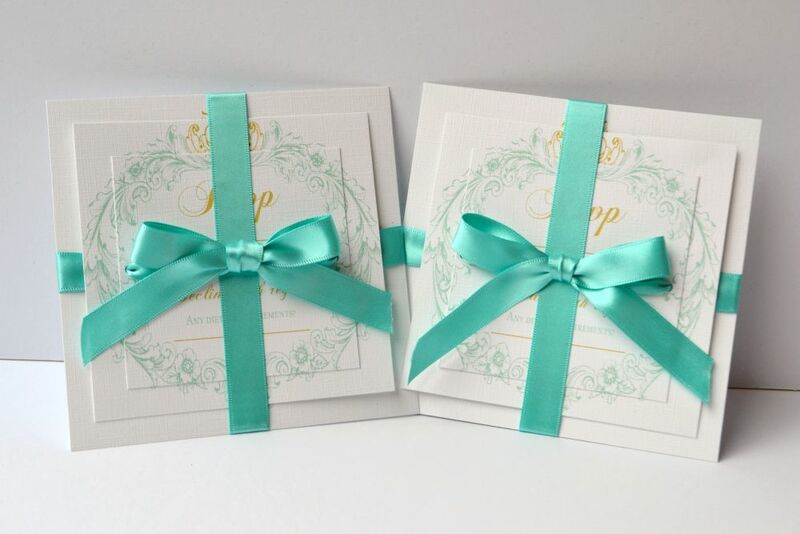 Together we created these gorgeous square invitations with matching information cards and rsvp cards, all tied together with ribbon.